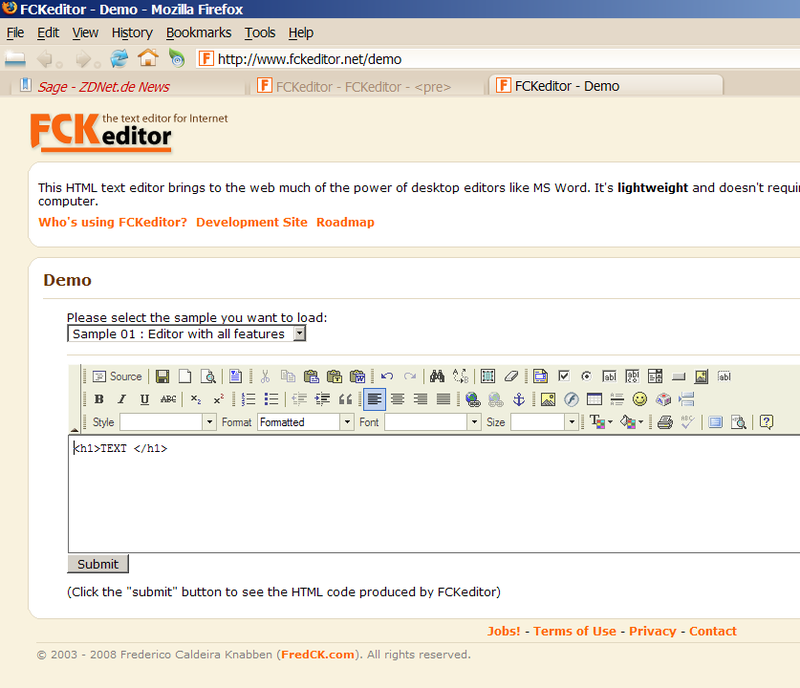 I'm using fckeditor 2.6. It works perfectly but not quite. 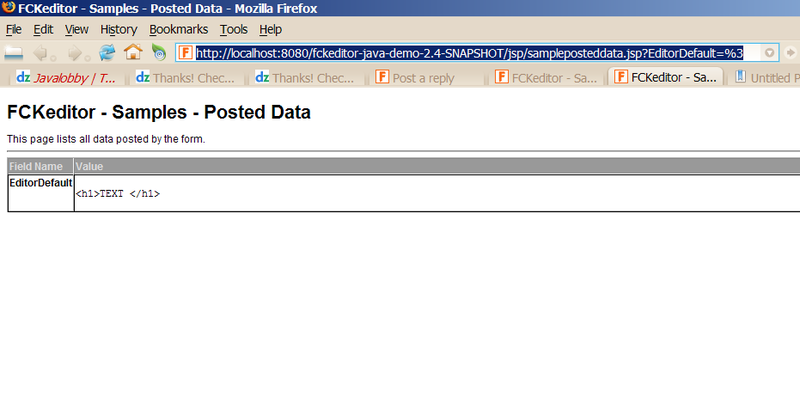 and this code is displaying as HTML and I see TEXT. the pre tag preserves whitespaces and formatting only! You have to escape all <, > and so forth elements! Hmm, so I have to write: h1 TEXT /h1 ? 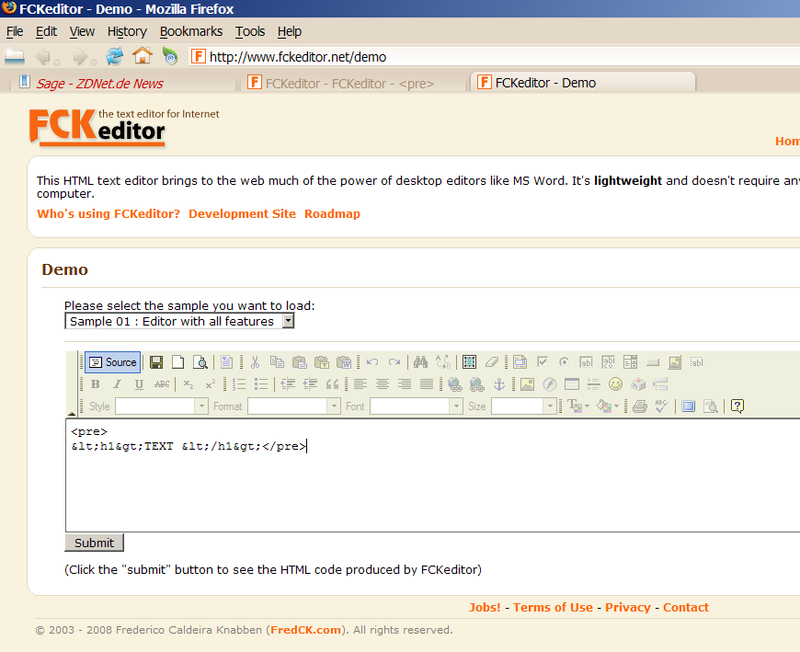 In another web page with fckeditor it works (<pre><h1>TEXT</h1></pre>). janek wrote: Hmm, so I have to write: h1 TEXT /h1 ? No, &lt;h1&gt;TEXT &lt;/h1&gt;. You can also use Paste Plain Text command to paste HTML into <pre> without having to HTML-encode manually. Still it doesn't work. Any idea? janek wrote: Still it doesn't work. Any idea? 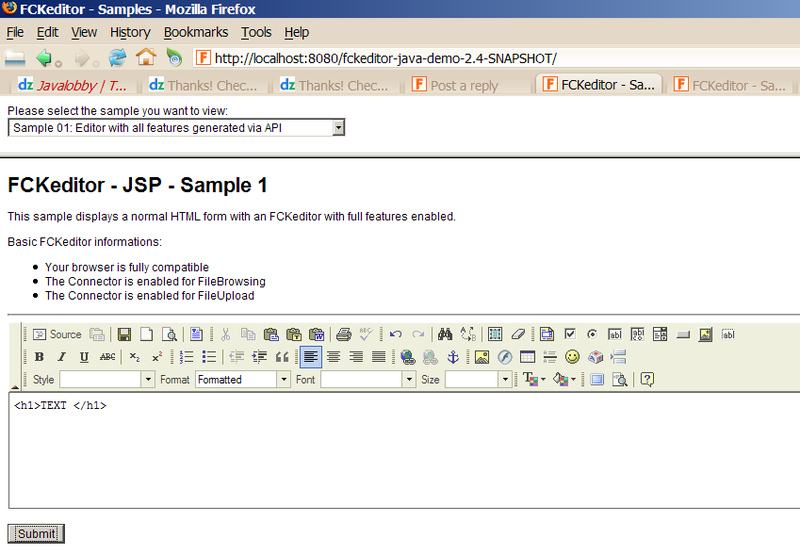 Hmm, please try on this site http://aleksander.aspnet.pl/website2/fck/. even if you clik the button? No, the escaped characted are transformed to HTML again. I have tested it on my local server and your code is defitively broken.